Social Skills are a hot commodity! And as Speech-Language Pathologists, it’s what we do best. 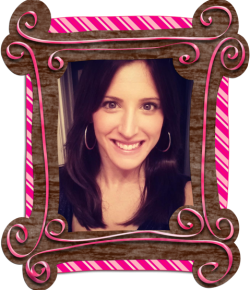 Have you heard of Social Thinking© and Michelle Garcia Winner?! If not, you need to get familiarized like now! 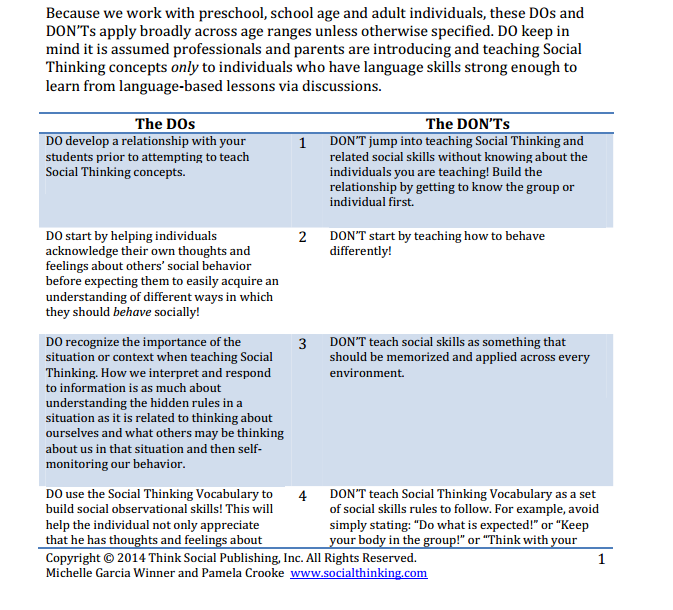 Michelle Garcia Winner tells you the DOs and DON’Ts of working with students in social groups. I often ask, WHERE DO I START?! Or WHAT DO I DO NEXT?! When planning for a social skills group, don’t you feel like there are so many topics to focus on? Executive functioning, interrupting, initiating, problem solving, perspective taking, OY VEY! I have 6 different social skills groups, 3 at the middle school and 3 at the elementary level. All of my kids have different needs. I collaborate with special education teachers, Autism Support teachers, and other SLPs; THEY ALL HAVE DIFFERENT IDEAS TOO! The teachers are the best resource. They see the kids every day and it’s wonderful when they give you ideas of what to target in therapy. For example: I had a teacher tell me that my student was hugging a teacher too much. Time for a social story! I wouldn’t have known that without her! Michelle Garcia Winner has amazing resources! Her Think Social Program is so helpful, IMO! Two of my favorite introductory lessons are: Unexpected vs. Expected Behaviors © and Big problem vs. Little problem ©. These lessons can be referred to throughout the school year! My next activity would relate to Flexible Thinking. Right off the bat, the students need to understand that taking things literally is not going to fly! My best-selling product on TPT is “Social Skills – Superhero Pragmatics – Thinking”. First your students need to have a clear definition of the two terms. The definitions can be contrasted! Sometimes when I talk about Expected Behaviors©, I refer to them as Green Choices (this is helpful for my younger kiddos). Green is good, red is not! Many of my students that have Autism are literal/rigid thinkers! This product can help them understand how to think flexibly. It is interactive and it’s a GAME! 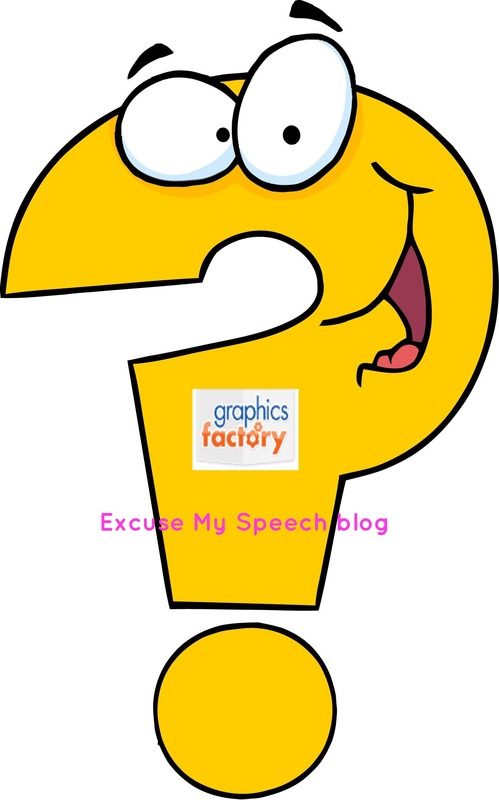 During the game, they read a situation and infer whether the person in the hypothetical situation is thinking flexibly or being a Rock Thinker©. After the game, you take this a step further and predict the consequences of Rock Thinking© and the rewards of Flexible Thinking©. Someone left feedback on this product and mentioned that my product would go along with the Rock Brain© character. I still have yet to buy Superflex© products (it’s tough when you have to purchase things on your own dime! ); it’s on my wish list though. Oh someday! I often have students in my social skills groups that aren’t even on my caseload. I collaborate with their Special Education teacher or Case Manager and we co-facilitate the group. Their teachers see them more than I do so they can reinforce skills more often. SO…I thought it was a great idea to send home a newsletter to parents. Now the parents can learn and use the vocabulary too! If you are interested in what the newsletters look like, check them out at my TPT store for FREE! I hope that this post was helpful to you. What resources are your favorite for your social skills groups? Please leave a comment below!